Grab General Mills cereal this week at Walgreens for $1 per box! 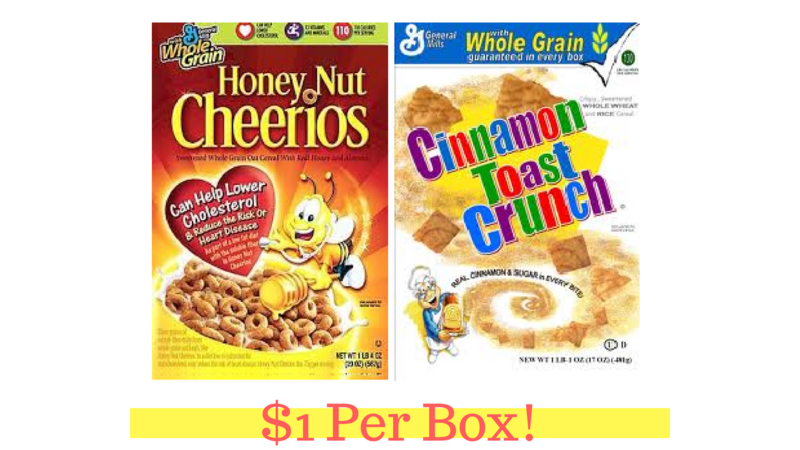 Use the $1/2 printable General Mills coupon and submit for a $1/2 SavingStar to get the deal. My rule is not to pay more than $1 for most cereals, so this deal fits the bill! –like getting both for $2 or $1 ea.